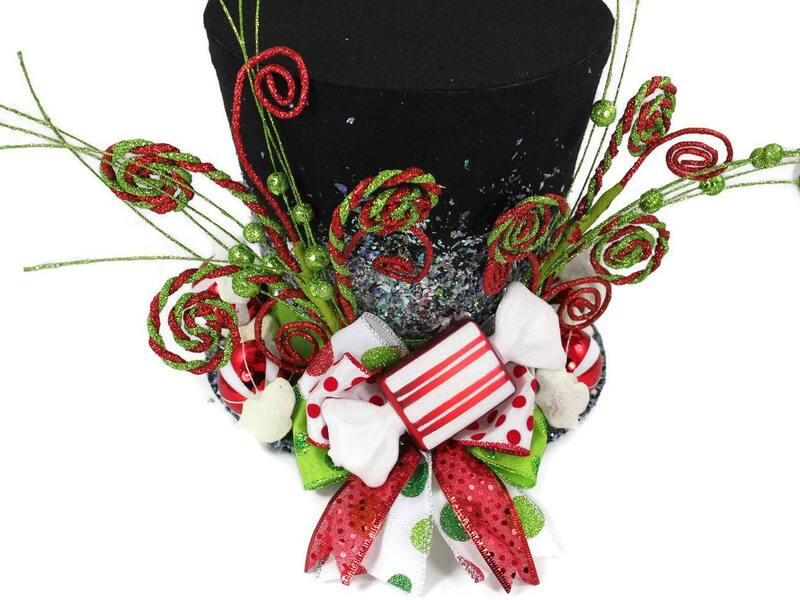 Candy Christmas lighted tree topper,Candy Cane tree topper.Green, Red and white peppermint, Holiday Hat decoration, Christmas decor. 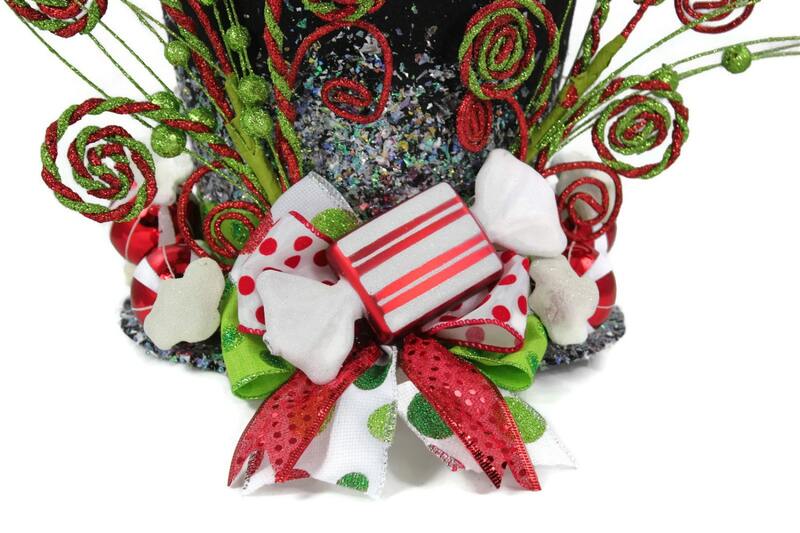 Sweeten your holiday this year with a Candy Christmas tree. 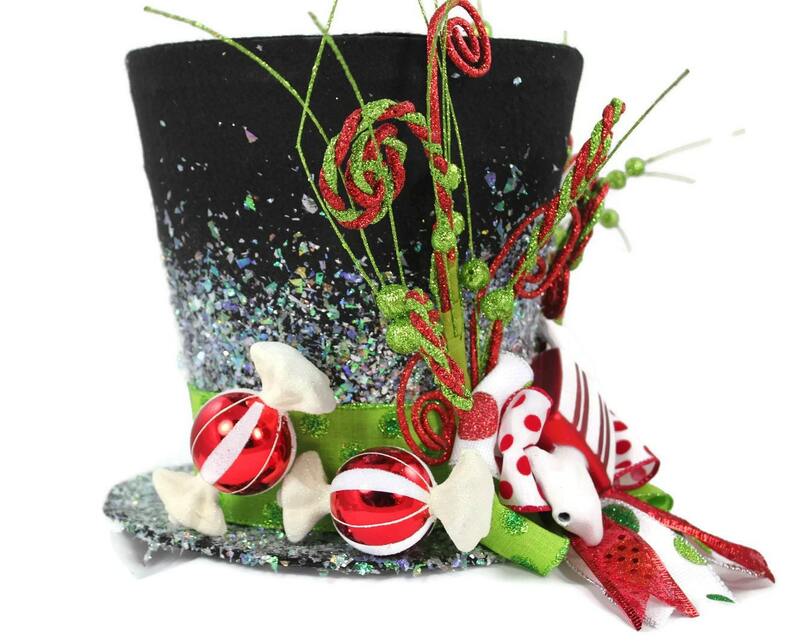 This brightly colored whimsical top hat is perfect as a tree topper, table decoration, you can even use it as a vase for your centerpiece on a table. 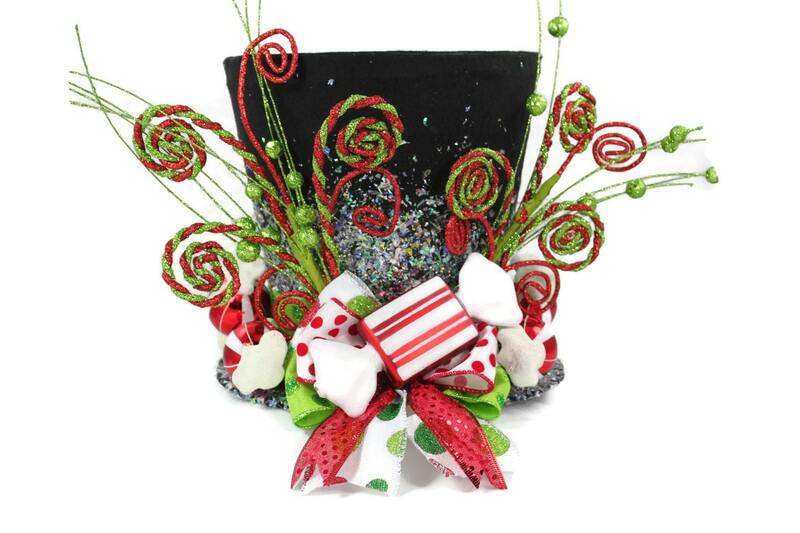 Hold flowers (vase is needed to preserve the condition of the hat) A Candy Christmas tree theme has whimsical appeal, and as long as the kiddies don't try to take a small taste, your sugary sweet ornaments will be eye candy all season long. 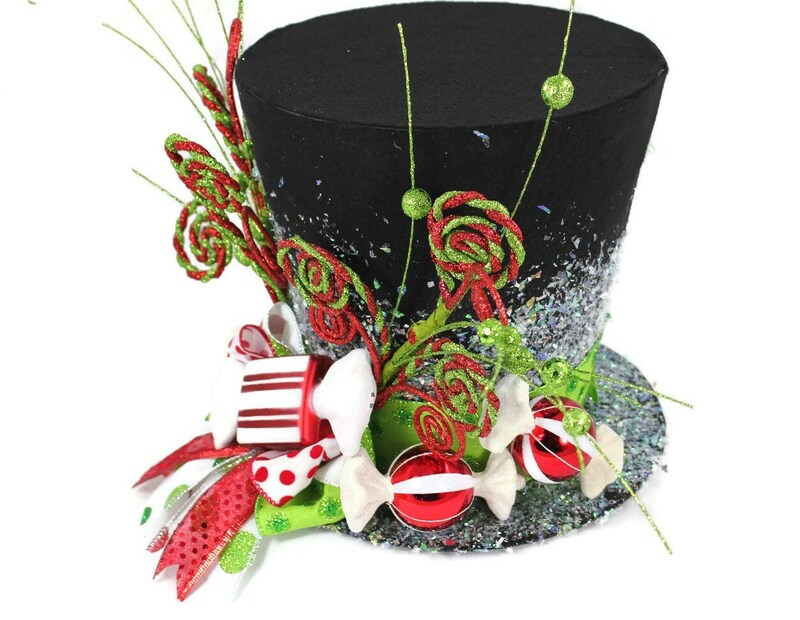 •	Operated with built-in timer, After turned on, the built-in timer keeps lights on for 6 hours, automatically turns off for 18 hours, then repeats. •	Different light modes - flashing, fade and steady on.